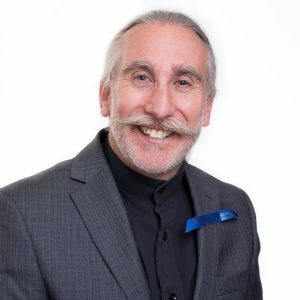 Andrew’s lifelong vision has been to be of service in assisting people toward personal sovereignty and sustainable interdependence with the ultimate goal being global wellness. With the shock that rattled and changed the world after the tragedy of 911, Andrew’s spirit was reawakened. His focus turned toward using his broad range of experiences, tenacity and dedication in ways that would begin to manifest his vision of creating a wellness center. Andrew has studied and practiced in fields of wellness such as consulting, counseling, bio-energetic therapies, massage, and martial arts. In the business arena, he has worked in management, marketing, accounting, networking, and computer technology. He is trained and experienced in setting up audio-visual systems for both businesses and entertainment venues. Through these experiences he began to see how he could use sound, light, music as therapy to heal himself and others. His time spent in the U.S. Army Health Committee and was the Reserves not only trained him to be a leader and team-player but also has given him a strong empathy for veterans, and others needing help to heal, balance, and move toward productive, happy lives. He’s worked in the areas of alcohol, drug, and suicide prevention and intervention. Andrew is thriving as CEO of ARC International, Inc. He has found a team of like-minded individuals to work with and many and social worthy projects to which he can lend his expertise, love of service, positive energies, and talent. Andrew is an inspiration to the ARC team. Since he joined ARC, we see uncountable ways his dedication, loving heart, and intelligence are moving us all toward manifesting our best dreams for the future.